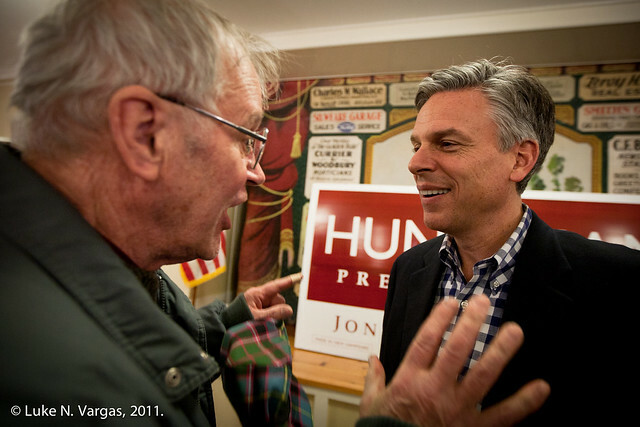 Governor Jon Huntsman holds a town hall meeting in Deering, New Hampshire on December 17, 2011. This morning, Jon Huntsman received editorial endorsements from the Valley News and Keane Sentinel newspapers. When the candidate in question has held over 120 campaign stops—each of them strong showings, but none too different from the rest—it's often hard to gauge shifts in campaign momentum. But with the New Hampshire Primary just over three weeks away, days like today really do matter in helping to shape a candidate's final push. Fmr. Governor and Homeland Security Dir. 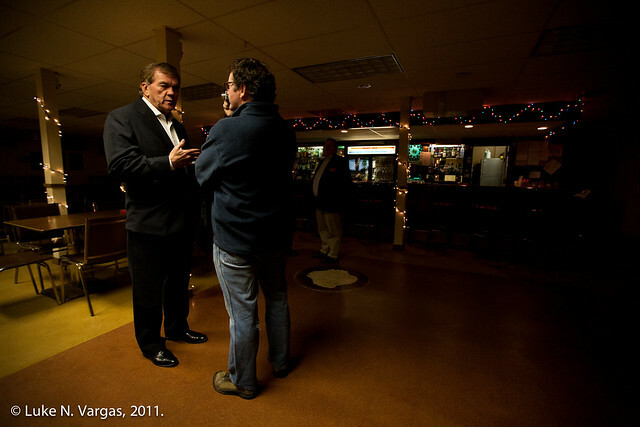 Tom Ridge served as Huntsman's campaign surrogate Saturday, visiting four VFW halls across the state, including a stop at Post 168 in Portsmouth. See more here. With Tom Ridge lending a hand on the stump, larger crowds showing up to each successive event, Newt Gingrich beginning to slump in state polls, and today's new endorsements, the positive forces the Huntsman campaign's "path to victory" has counted on all along are finally materializing. It's Jon Huntsman's turn to do the heavy lifting now. 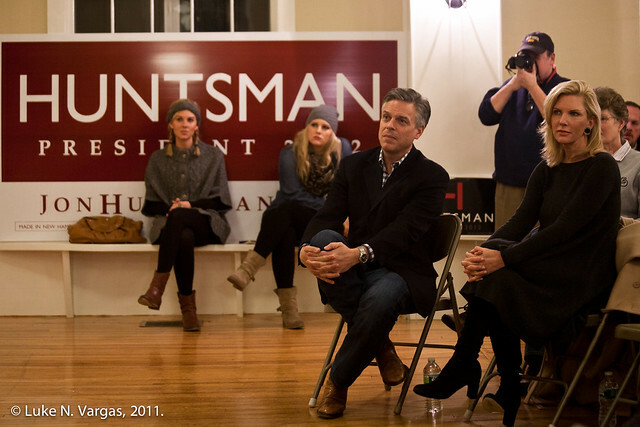 Huntsman still needs to mix up his pitch for those voters hearing him for the second or third time. He could start by retooling some of the lines he's recycled for the better of the year, and he'd also benefit from one or two more campaign surrogates to bring added firepower to his ground game. Ultimately, however, it has been Huntsman's unique qualifications, ability to connect with voters, and dedication to New Hampshire that have taken him this far, and not much needs to change. Athough certain of his opponents have yet to win over the confidence of early state voters or establish their political authenticity once and for all, the task required of Huntsman in the coming weeks still won't be easy, but as he says frequently, he won't need to "contort himself into a pretzel" to close the sale. Now is the time for that advantage to finally pay off. 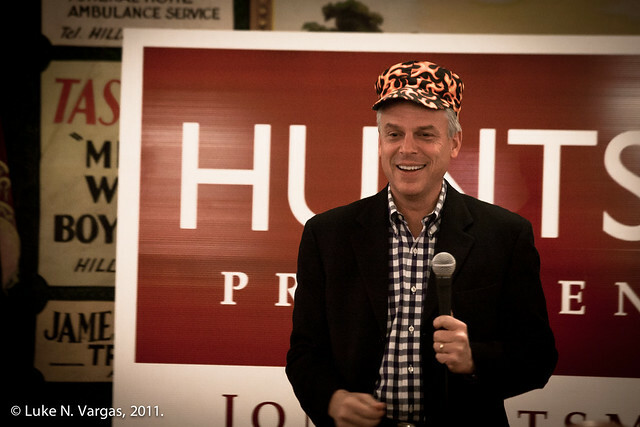 View the complete photo gallery from Jon Huntsman's Deering event HERE.